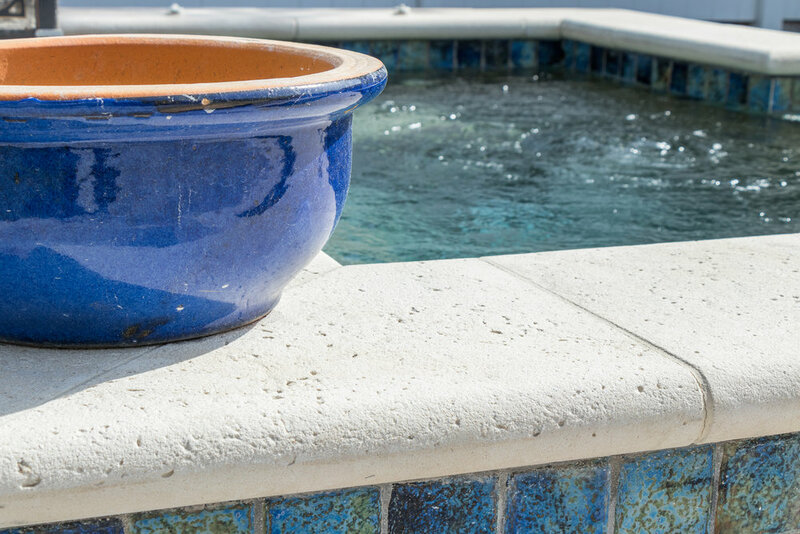 Elevate the appearance of your pool with pavers. Full thickness pavers are the perfect choice for new pool construction while thin remodel pavers are designed to overlay existing concrete for pool deck renovation projects. 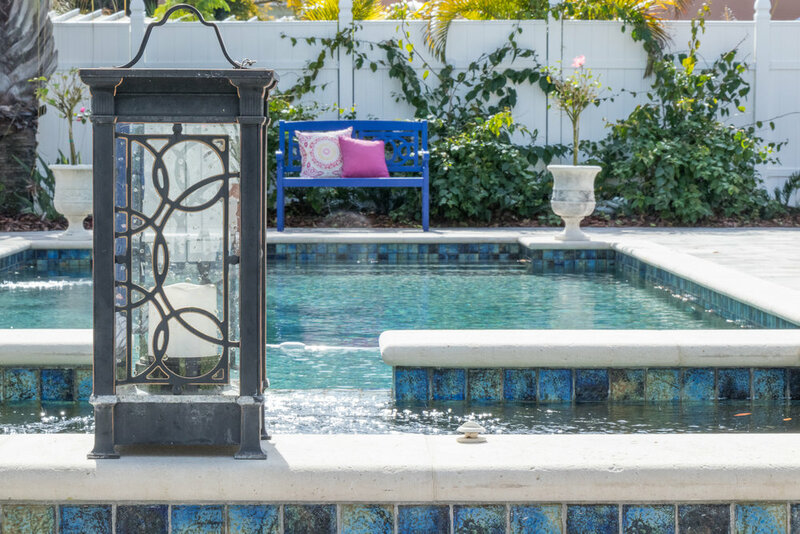 Choosing pavers for your pool deck not only creates a certain sense of luxury but you also get the assurance of an enduring product that will maintain it’s beauty with each passing year. Concrete pavers are a great option for pool decks because they are durable, slip resistant and can provide the look of natural stone. They also stand up to the harsh effects of chlorine. Around pools, the interlocking joints will take on moisture and leave the pavement cooler underfoot than a traditional concrete pool deck. You'll enjoy many years of summer fun with this option. If you're looking for a natural stone for your pool deck then Travertine is a very popular choice. It's color does not wear over time and this stone can stand the test of time. A travertine pool deck can provide a cooler surface than a concrete paver pool deck. There are many color, size and layout options allowing you to create a custom pool deck to match your style.